How do my guests add additional guests? 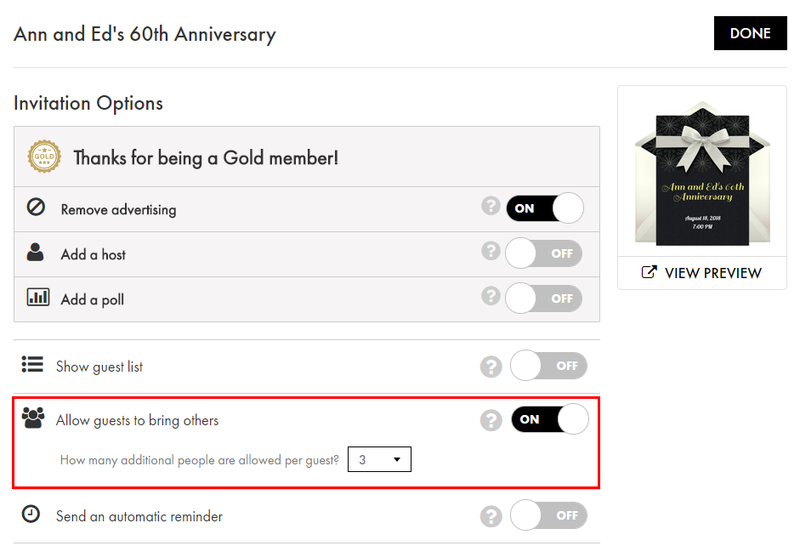 If you don't want your guests to be able to add additional guests, you can disable this from the Invitation Options page. 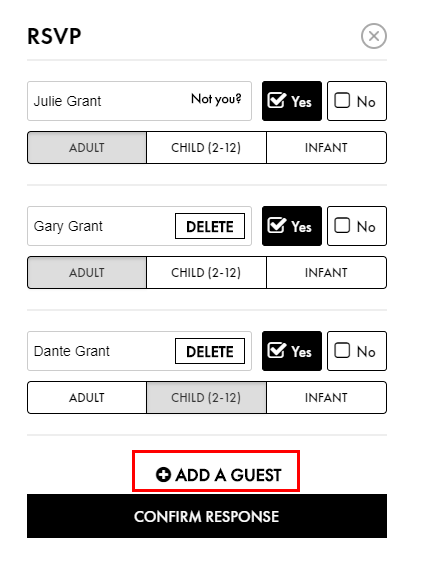 You can also set the number of additional guests recipients can bring on the same page. If you needed to manually add an additional guest for one of your recipients, try using the Connect feature which you can read more about here.